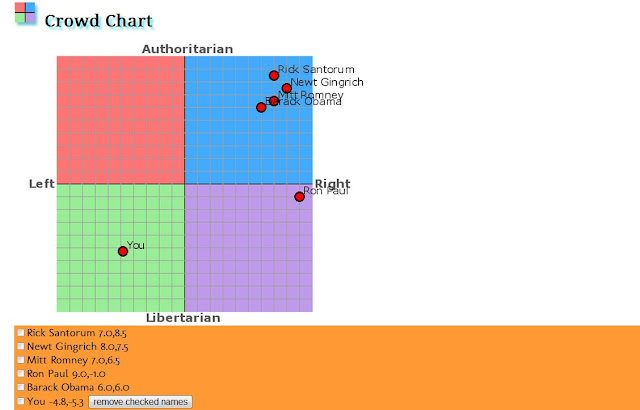 I just filled out the policy questions over on politicalcompass.org. I was surprised that Barack Obama was listed so far to the right. 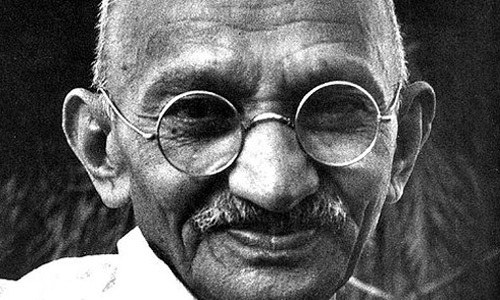 I'm not sure how accurate these things are but my nearest neighbor on the political spectrum was Mahatma Gandhi. Maybe I'm living in the wrong country.